I could have sworn that I walked more than 11.5 km (7.2 mi)–crazy steep, very warm, but no problem finding water spigots. I barely came in an hour and a half before it hit 100 deg F. Had thoughts this morning of going another 10 km, but couldn’t have made it. Basically skirted the estuary on the west side. 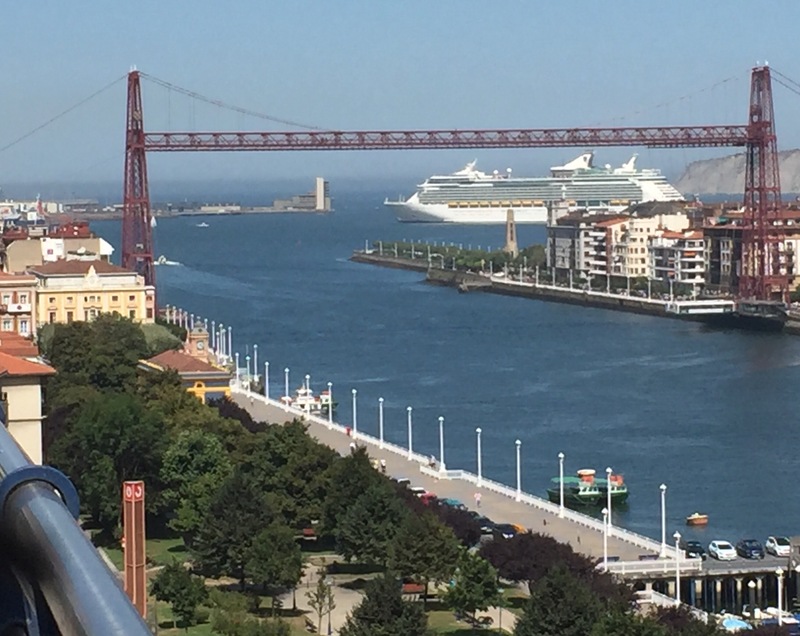 The first picture shows a transporter bridge high above the water in the town of Portugalete to allow cars and people to cross (the transporting car is the white container on right just above the water) and yet boats to pass underneath. This bridge is a world heritage site! 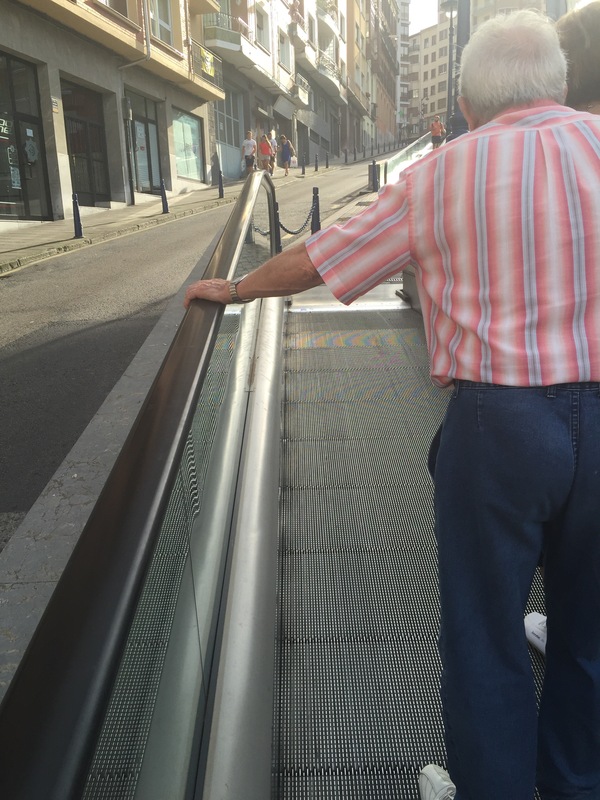 The town is so steep for pedestrians that they installed moving sidewalks (see the pic). Great pix, though only 2 of 4 posted. The moving sidewalk must have been a pleasant surprise!